With the onset of the cold season the State Peace & Development Council (SPDC) has been able to push ahead with military attacks against villages and displaced communities in the northern districts of Karen State. In Thaton District and other areas further south, however, the military is more firmly in control, fewer displaced communities are able to remain in hiding, and SPDC rule is facilitated by the presence of its ally the Democratic Karen Buddhist Army (DKBA). By increasingly relying on DKBA forces to administer Thaton, the SPDC has been able to free up soldiers and resources which can then be deployed elsewhere. To force the civilian population into submission, the DKBA has scoured villages throughout Thaton - detaining, interrogating and torturing villagers and conscripting them to serve as army porters. Commensurate with its increased control over the civilian population, DKBA soldiers have subjected villagers to regular extortion, arbitrary and excessive 'taxation', forced labour, land confiscation and restrictions on movement, trade and education which all serve to support ongoing military rule in Thaton. By systematising control over local villagers, the SPDC and DKBA have been able to implement 'development' projects that financially benefit and further entrench the military hierarchy. 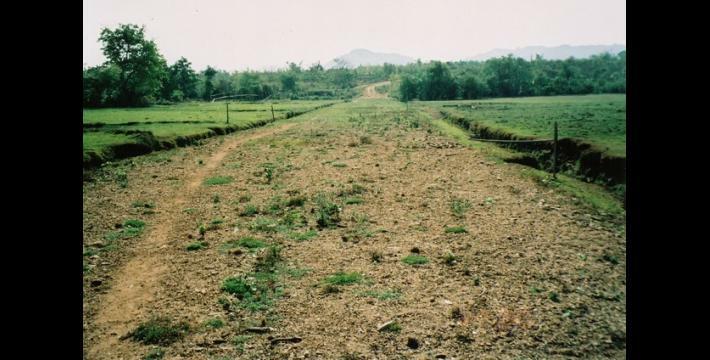 Amongst such initiatives, the construction in Thaton District of the United Nations-supported Asian Highway, connecting Burma with neighbouring countries, has involved uncompensated land confiscation and forced labour. While the end of the rainy season has meant that the State Peace and Development Council (SPDC) has be able to intensify military attacks against villages and displaced communities in northern Karen State, they have taken a different approach in those districts lying further south. In these areas the SPDC has worked to consolidate its already strong hold on all aspects of civilian life. Thaton District (Doo Tha Htoo in Karen), which the SPDC has taken increasing control of since the late 1990s, is comprised mostly of low-lying flood plains in which the local population predominantly engages in flat field rice cultivation. The mostly flat terrain and extensive military presence in Thaton has consequently limited the number of displaced people able to evade military control and abuse by living in hiding. While the SPDC remains active in Thaton, much of its control is now exerted via the Democratic Karen Buddhist Army (DKBA). The DKBA has served as a proxy in the implementation of the SPDC's control and 'counter-insurgency' measures - detaining, interrogating and torturing villagers for information regarding the Karen National Union (KNU) and Karen National Liberation Army (KNLA) and forcing them to serve as porters for army patrols. In the past year DKBA operations in Thaton have increased and they currently have more troops deployed in this district than in any other. This augmented deployment of troops is regularly felt by the local population in the form of DKBA extortion, arbitrary and excessive 'taxation', forced labour, land confiscation and restrictions on movement, trade and education. Reliance on the DKBA has allowed the SPDC to free up soldiers and equipment which can then be deployed elsewhere. Light Infantry Division (LID) #44, for example, under the command of Brigadier General Hla Myint Swe with its headquarters at Thaton town in Thaton District, has been deployed along the Sittaung River in Nyaunglebin District to provide support for SPDC operations in the northern offensive. The heightened DKBA activity may be partly explained by reports that the SPDC has promised the group widespread control of the district should they be successful in eradicating the last vestiges of local KNU/KNLA networks. Amongst other objectives, the SPDC is pushing to eliminate all local resistance in order to allow for the construction of the Burma section of the Asian Highway. This high-profile road network is an inter-governmental project connecting 32 countries throughout the continent along 140,479 km of highway, organised in partnership with ESCAP, the United Nations Economic and Social Commission for Asia and the Pacific. The Burma section is intended to run through Thaton District; coming from Thailand via the border town of Myawaddy in Pa-an District and continuing via Pa'an town, northward through Thaton district and on to Rangoon. Construction of the road in Thaton has involved uncompensated land confiscation and forced labour. Irrespective of specific 'development' objectives, increased SPDC and DKBA control of the civilian population in Thaton District has brought with it regular exploitation that hinders villagers' abilities to maintain an adequate livelihood in support of themselves and their families. The SPDC troops currently active in Thaton District are part of six battalions which all come under the control of Light Infantry Division (LID) #101. These are Infantry Battalions (IBs) #235, 256, 266, 251, 257 and 254. This is far fewer battalions than in other Karen regions because many of the SPDC operations in Thaton District have devolved to local DKBA forces who often serve in tandem with their SPDC counterparts. Active DKBA troops in this district come under DKBA Brigades #333 and #999. Brigade #333 is comprised of three battalions designated as #1, 2 and 3. Brigade #999 is comprised of four battalions designated as #901, 906, 907 and 908. Moreover, since January 2006 the DKBA has dispatched a further three battalions to Thaton District from their headquarters at Myaing Gyi Ngu (Khaw Taw Pu in Karen) in Pa'an District, as well as troops from the K'Saw Wah ('white elephant') Special Battalion. Orders for this transfer came from Brigade Commander Maung Gyi and Second Commander Mo Kyo of Brigage #333. This year's deployment has brought the total number of DKBA battalions active in Thaton to 11 with a cumulative troop strength of 650 soldiers. According to a KHRG field researcher, the primary reason behind the increased DKBA presence in Thaton is an SPDC objective of finally eliminating the KNU and KNLA presence in the district. In February 2006 the SPDC reportedly gave instructions to the DKBA to expand their activities in Thaton and, should they be successful in driving out whatever KNU and KNLA operatives remain, to take full control, under SPDC authority, of the civilian population in the area. Along with allowing the DKBA freedom to exploit the civilian population, the SPDC is also providing financial backing for the campaign. In pursuance of this objective, the SPDC and DKBA have been jointly working on alleged 'counter-insurgency' operations that target villagers on allegation of their involvement with the KNU or KNLA. However, as the KNU and KNLA presence in Thaton is minimal, abuses associated with 'counter-insurgency' operations are more frequently blatant acts of extortion. Moreover, as the SPDC personnel in Thaton District have been moving into a primarily advisory role in support of DKBA activities, they have decreased direct contact with villagers, leaving this instead to the DKBA. "When they [DKBA soldiers] were in the village, they blocked the villagers so that they couldn't go anywhere. They said that if we went out, it meant that we had gone to contact Koh Per Thoo [the KNLA] or we had gone to send information to Koh Per Thoo. They also said that Koh Per Thoo must not come and shoot at them, otherwise they would fine the villagers one pig." Under the guise of pursuing KNU and KNLA members and soldiers, the DKBA has systematically scoured villages throughout Thaton District. Upon entering these villages DKBA soldiers have interrogated villagers about the operations and whereabouts of the local KNLA forces. When villagers are unwilling or unable to answer, DKBA soldiers threaten, detain and torture them. In some cases, DKBA soldiers have demanded that villagers accompany them on patrol in search of KNLA troops. Aware of the abuse and maltreatment of those who accompany DKBA patrols, villagers are averse to complying with these orders. They therefore attempt to evade conscription by fleeing before soldiers arrive in their village or denying any knowledge of KNLA operations or locations. In response to such denials, DKBA soldiers accuse villagers of lying and take them regardless. In these cases, villagers must serve as both guides and porters, subject to threats, harassment and beatings by the DKBA forces they accompany. "I have also been tortured by DKBA soldiers. At first I tried to flee from them and I fled to Dtah Meh Kee village, but they turned their head [they went] to Dtah Meh Kee and arrested me there, in Dtah Meh Kee village. When they arrested me, they said 'Someone said you have seen the place [KNLA camp],' as they already knew that I knew the location. They then tied me up and interrogated me. They left me bound under the house all night. They tied both of my hands behind my back and they tied my hands in two steps, the first step was at my wrists and the other step was at my arms. They tied me tightly to the house post. They interrogated me a lot and when I didn't answer them they punched me. They punched my face, my cheeks and my chest. They also kicked me once or twice and they tortured me all night to get answers." In June 2006, DKBA troops from Brigade #333 operating under the command of officer Mo Kyo (a pseudonym meaning 'lightning') began operations in Bilin township of Thaton district. Since this time, these soldiers have entered local villages demanding information and porters. They have threatened the villagers and said that anyone caught fleeing from portering duty would be fined 300,000 kyat. Furthermore, if the KNLA attacked them while they were operating in the area, local villagers would be subsequently fined. In one instance following a KNLA ambush on a DKBA patrol in Bilin township, the commanding officer fined a nearby village 1,000,000 kyat (US$790). The officer said that if they did not pay the fine, his soldiers would burn down the village. Although the payment of such a large amount would create severe hardship for the community, the villagers collected the amount among themselves to cover the cost of the fine. According to a villager from Soo Kee village, since Mo Kyo began DKBA operations in Thaton in June, soldiers have conducted these types of 'counter-insurgency' activities causing problems for the communities in Baw Naw Kee, Gk'Wah Htah, Gkwee Lay, Gklaw Htah, Lah Kyo Koh, Mu Meh Baw, Wah Kheh Htah, Htaw Gklaw Kee, Htaw Gklaw Htah, Soo Kee and other villages. "When Mo Kyo arrived [with his troops], the KNLA couldn't attack them because if they attacked, they [the DKBA] would fine and cause trouble for the villagers. So the KNLA didn't attack... When they arrived, the KNLA attacked them once or twice. But whenever the KNLA soldiers attacked them, they [the DKBA] fined and made trouble for the villagers." 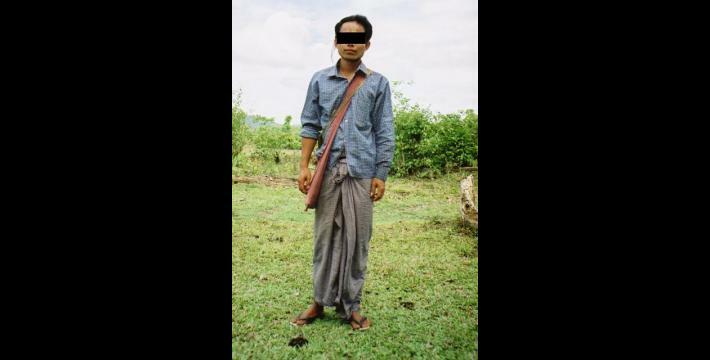 Around March 2006, DKBA forces captured Poe Choh, a villager from Gk'Wah Htah village, Bilin township who was residing at Dtah Meh Kee village and took him away for portering duty. While serving as porter, the soldiers beat Poe Choh and he therefore fled from the patrol. The same DKBA soldiers returned to Dtah Meh Kee village where they found Poe Choh and fined him two pigs which he subsequently gave them. "Last time, when Mo Kyo tortured Poe Choh, he said to Poe Choh 'you people are Karen, but you don't smell like Karen.' Actually, the one that doesn't smell like Karen is him, but he accuses others of this. Then he kicked, stamped, slapped, punched and beat him a lot." In June 2006, DKBA forces entered Gk'Wah Htah village and accused one of the villagers, Saw T---, of being a KNU member. The soldiers demanded payment of a 'fine' for his alleged involvement with the KNU and detained him along with three other villagers. The soldiers beat those detained to the point where their faces were bruised and swollen. They demanded that Saw T--- take them to the KNU camp. However, as he was only a villager and had no connection to the KNU, he was unable to comply. Instead he fled from the patrol that had taken him. The three other villagers were unable to escape at this time. As collective punishment for Saw T---'s escape, the soldiers returned to Gk'Wah Htah and fined the village one pig. "Some of my fellow villagers as well were tortured by DKBA soldiers when they went to their paddy fields. DKBA soldiers asked them about KNLA soldiers and when the villagers couldn't answer them they punched and beat them. There were five villagers from my village whom they beat and tortured. 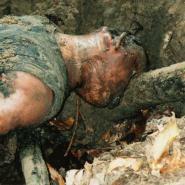 They also tortured one of the Gkwee Lay Bpoo villagers. 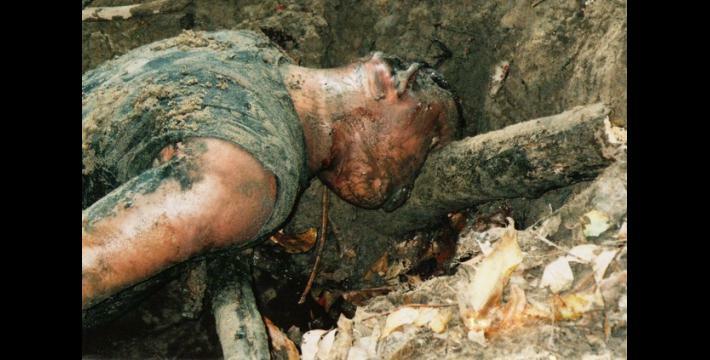 The DKBA soldiers wrapped his head [in plastic] and tortured him." "My village was established many years ago. The DKBA and SPDC are the only things that trouble and scare the villagers. Last time that DKBA came, they planted landmines. Because they have planted a lot of landmines we don't dare to go outside." Throughout Thaton District the DKBA has been planting landmines along the outskirts of villages, in farm fields, under huts, around durian and betel nut plantations and along the sides of roads. In this way, the DKBA attempts to restrict the movement of both villagers and KNU/KNLA forces. The landmines used by the DKBA are never removed and can remain live for years after their deployment. According to one escaped porter, 2nd commander of DKBA battalion #333 Mo Kyo claimed that the landmines which his troops used had been manufactured in China. While China regularly transfers weapons to the SPDC across Shan State border, it is possible that those deployed by the DKBA are Burmese copies of the Chinese Type 59 "stake-mounted fragmentation mine" or Type 58 " blast mine", both of which are known to be manufactured, under the names MM1 and MM2 respectively, by Myanmar Defense Products Industries, an SPDC enterprise. The Myanmar Defense Products Industries landmine factory, located in the town of Meiktila, was built by the Chinese government following an agreement with the SPDC in 1998. As a consequence of the widespread deployment of landmines throughout civilian areas, villagers are regular victims. On June 6th, 43-year-old Maw Poe Saw from Ta Meh Kee village, Bilin township, stepped on a DKBA landmine. The ensuing explosion killed him. The death of Maw Poe Saw left his wife and family in severe difficulty, unable to meet their subsistence needs. On June 27th, 40-year-old Saw Pah T'Pyeh from Gklaw Htah village, died after stepping on a DKBA landmine while walking to his field to work. The landmine had been laid along the path to his field hut. His death orphaned his six children between the ages of 10 months and 12 years. In order to prevent KNLA ambushes against their patrols, DKBA forces routinely force villagers to accompany them as they march. 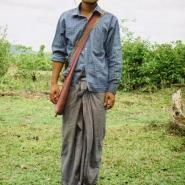 In Thaton District the DKBA frequently conscripts four villagers per soldier. These villagers are ordered to walk in front and alongside the patrols. Those in front serve as human minesweepers, setting off any landmines lying in the path ahead of DKBA patrols. Those walking alongside serve to shield soldiers from potential KNLA fire. The widespread deployment of landmines serves to restrict the movement of villagers who must remain wary of travelling outside of areas known to be safe. This typically keeps them within their home villages as most dare not venture into potentially mine-infested areas. In some cases, villagers have forsaken their agricultural fields on suspicion that landmines were deployed therein. In Bu Kyih Kee village villagers abandoned three agricultural fields in May - June after the arrival of DKBA soldiers whom they suspected of having deployed landmines nearby. These villagers had already begun preparing their fields for the coming rice planting season. 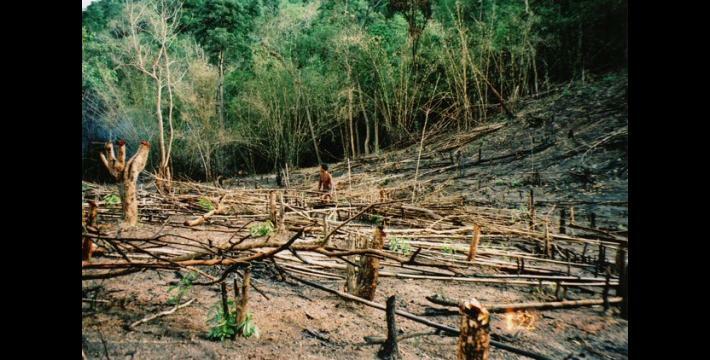 Other villagers from Bu Kyih Kee abandoned their betel-chewing leaf plantations after the DKBA planted landmines around the base of the trees. "He [Mo Kyo] didn't allow the women to go to the river to bathe. He said that 'None of you can leave the village. If you leave the village, you have gone to give information to the KNLA... You can't go out in the forest. If we see anyone, we will shoot them or kill them." With the increased DKBA activity in Thaton District local directives are now being primarily disseminated by their officers rather than the SPDC. Since June 2006, DKBA commander Mo Kyo has sent out orders giving instructions for increased restrictions on the movement of villagers living throughout Thaton. Villagers have thereby been confined to their home village. If DKBA soldiers see any villagers outside of their village, they will 'take action' – an ambiguous term commonly used in DKBA order documents in reference to fines, detention, torture or shooting of villagers on sight. In order for villagers to graze their cattle, work their fields or visit friends and relatives in neighbouring towns or villages, they must obtain permission documents from local DKBA officers. These documents, which cost 1,000 kyat, typically last for only a few days, although in some cases they have been issued for up to 20 days. "When DKBA soldiers enter the village and if they see any villagers fleeing away, they shot at them. They have said to the villagers, 'Don't run. If you run we will shoot you.' If we don't run or if they can capture us, they interrogate us and tie us up. And if they order you to go with them or carry things for them, even when you don't dare to go, you have to go." 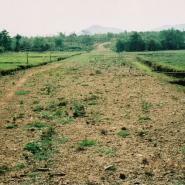 The DKBA implemented increased travel restrictions in May 2006 after villagers had already begun field preparation prior to the start of the rainy season when they would begin planting. In the midst of this process, the soldiers forbade them from returning to their fields to continue the work. Villagers were forced to wait in their homes as the rains set in and their fields remained unplanted. When the DKBA finally began issuing permission documents which would allow the villagers to travel to their fields, they said to them, "Now is a chance for you to do your planting." However, by this time the rains had already begun and villagers were unable to completely plant their fields – thus forsaking all or part of their land for this year's harvest. In cases where movement restrictions are implemented following the initial planting period, untended crops are at risk of destruction by animals and insects and may become overgrown and killed by other plants as weeds cannot be removed. In Dtah Meh Kee village, which is comprised of 20 households, the primary occupation of the villagers has traditionally been to raise hill field rice crops. However, due to the DKBA's restrictions on movement out of their villages, they were unable to tend to their fields this year, thus leading to an insufficient harvest. As there is no alternate form of income available in their village, locals have had to hire themselves out as daily wage labourers on farm fields in neighbouring villages. The standard daily wage for agricultural work in Thaton District is 1,000 kyat per day. This amount is hardly enough to survive on as inflation has raised rice prices in Thaton District to 3,500 kyat per big tin (a standard unit of measurement equal to 12.5 kg. / 28 lb.). In order to make food supplies last, the villagers of Dtah Meh Kee have had to switch to eating a watered-down rice porridge which, although of limited nutritional value, at least temporarily placates hunger. When DKBA patrols arrive at given villages, they typically establish their camps on the outskirts, sleeping in field huts located amongst the local rice crops. Local villagers are forced to support them by bringing rice, curry and often whisky out to the soldiers. No compensation is provided for this and villagers are threatened with punishment should they fail to comply. When the soldiers do enter the village they immediately demand the village registration document – a form listing all inhabitants of the village, their homes, property and families. This allows the soldiers an easy means of assessing how many people can be taken for forced labour, the possibilities for extortion and determining whether anyone currently residing in a given village is not a regular inhabitant. "Our village has to deal with forced labour for the SPDC when they come to the village. When the SPDC comes to the village and orders us to go, we have to go and when the DKBA enters the village and orders us to go we have to go too. We can't refuse to go. So we have to go, otherwise they would make trouble for our village leaders"
Although the SPDC has been increasingly forcing convicts from other parts of Burma to serve as porters in Karen State, both SPDC and DKBA soldiers also regularly attempt to conscript villagers as porters, either placing their demands through the village head or attempting to capture the villagers themselves. This often fails, however, as villagers flee when they learn that soldiers are approaching. If villagers are caught and made to porter, soldiers overload them with army food supplies and ammunition and give them no time to rest. Furthermore, along the march, soldiers harass and beat them. The threat of landmines is ever-present, and soldiers force porters to march ahead of military columns with the hope that they will trigger whatever mines there may be and thus remove the risk for the soldiers. As a consequence of the ongoing SPDC and DKBA control of communities in Thaton District, villagers are currently confronted with severe food shortages and have no security for their future subsistence. 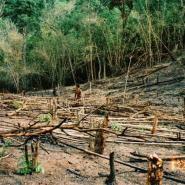 Prior to the 2006 growing cycle, the DKBA embarked on a widespread campaign to burn agricultural fields. The resulting uneven burn prevented the villagers from managing the complete burn necessary to clear fields prior to the planting period. The attacks hindered subsequent planting and limited the yield of the 2006 harvest for villagers throughout Thaton District. This widespread torching of rice fields, the regular restrictions on the movement of villagers to their fields and systematic extortion by SPDC and DKBA forces all combine to undermine villagers' food security and bring about near impossible living conditions. Villagers are furthermore expected to provide all necessary food and other materials for military-organised festivals, such as the annual Karen New Year celebration. "When they [DKBA soldiers] first arrived at the village, they frightened the villagers a lot. They said, 'Take out all of the rice that KNU soldiers keep in this village. If you don't take it out and if I can find it myself, you will be put in jail and you will be in big trouble.'" Food shortages require that villagers shift purchases away from a diversified diet, medical care and education. As the SPDC rarely provides any kind of financial assistance for schools, teachers, medical clinics, health workers or medicine in Thaton District, villagers' health care and education suffer most as they must devote increasingly greater proportions of their income towards basic subsistence. Inflation has made this progressively more difficult as a tin of refined rice (12.5 kg. / 27.6 lb.) now costs 3,500 kyat. One viss (1.6 kg. / 3.6 lb.) of pork now costs 1,500 kyat and a viss of chicken costs 2,500 kyat. Moreover, the limited yield from the 2006 rice harvest means that whatever food supplies have been retrieved will not last long into 2007, and whatever temporary food stores villagers have will soon be gone. In response, some young people from Thaton have left their communities in search of work abroad, mostly in Thailand, Malaysia or Singapore. However, some parents have been hesitant to allow their children to venture into such circumstances, regardless of the potential remittances that they might be able to send home. Following DKBA restrictions on movement implemented in May, village heads from communities near the SPDC camp at Yo Gklah gathered together and went to petition Aung Myo, commander of SPDC IB #235. The village heads stated that the restrictions on movement and trade by local DKBA officers and soldiers were severely undermining the ability of their respective communities to support themselves and requested that he intervene in order to alleviate the current situation. Aung Myo replied that the activities of the DKBA were not the concern of the SPDC and they should therefore go to see the DKBA leadership about this matter. The village heads subsequently went to appeal to DKBA chairman Tha Htoo Kyaw. The chairman replied that he would address the situation and tell his soldiers to end such practices. However, subsequent to this meeting nothing changed, and the restrictions on movement, destruction of crops and extortion continued. Moreover, DKBA commander Mo Kyo also implemented a system of 'taxation' on all trade throughout Thaton. In one instance he demanded that Dtee Bpra, a trader of cattle and buffaloes, pay 6,000,000 kyat (about US$4750). Other villagers appealed to Mo Kyo on the grounds that the rising price of commodities meant that the trade in animals was no longer a profitable enterprise. In response Mo Kyo reduced the amount demanded to 4,000,000 kyat (about US$3160). The villagers then petitioned him again to reduce the total demanded. Mo Kyo refused to do so, stating, "I lost a lot from lowering the price [the first time], so I will not lower it [again]!" Schools in Thaton District are of three kinds: government schools for which the SPDC provides limited funding, missionary schools financed by Christian groups based in Irrawaddy Division west of Rangoon, and independent village schools built and supported by the local community. The KNU and other independent Karen organisations provide additional support to village-run schools in the form of textbooks, notebooks, pencils and other equipment or food for teachers. Independent village schools are typically situated in small villages in and around the hills. In these schools, the teachers don't receive financial remuneration but are supported by the local community, who provide them with an average of 50 baskets of rice per year. The villagers also provide them with other food and support their travel costs. SPDC schools on the other hand are typically based in the towns and larger villages in the plains. One or two teachers are sent to teach in these schools, and if the community needs more they must support them on their own. While some young people go to study in SPDC schools in the towns, these are prohibitively expensive for most villagers, with student fees ranging from 100,000 to 200,000 kyat (US$80 -160) per year. Furthermore, as the salaries for teachers are too low to support themselves – typically between 40,000 and 50,000 kyat (US$30-40) per year – many cut lessons short and make up extra wages tutoring students outside of class time. Attending such external lessons is frequently the only means for students to actually learn the material necessary to pass national examinations. These classes cost on average 10,000 kyat per month and are thus a further barrier to villagers' education. Teachers sent by the SPDC are also usually unable to speak the local Karen language. Even where teachers are able to speak Karen, the SPDC forbids the language from being taught in schools. According to a KHRG field researcher, the SPDC's Thaton District education director has said that if Karen people want to learn Karen, they must do so outside of the schools. As a consequence, while many young people in Thaton District can speak Karen, few of them have learned to read or write it. Given the entrenched barriers to education for villagers in Thaton, many have moved or sent their children to refugee camps in Thailand, where education is open to all and provided in Karen and villagers are free from the oppression and abuse of local DKBA and SPDC officers and soldiers. Since May 2006 DKBA forces operating in Thaton District have been regularly obstructing teachers and students from going to schools. Although typically camping outside of villages in farm field huts, they have also occasionally stayed within the village and based themselves in the local school – thus preventing any lessons from being conducted. Furthermore, soldiers have demanded to know whether local teachers are Christian or Buddhist. If the teachers are Christian, the soldiers have accused them of having KNU connections and of coming to destroy the Buddhist religion, and in some cases threatened to kill them. Through such harassment the DKBA has attempted to ensure that all teachers in Karen State are Buddhist. "When Mo Kyo entered in to the village the students couldn't go to school and the school was closed. He didn't allow the school to open while he was there [staying in the school]. Kwee Lay village also had to close the school and he [Mo Kyoe] said 'Don't come to the school when I come,' and he summoned people to inform the teachers [about this]." In June 2006, DKBA K'Saw Wah special battalion led by commander Hla Maung arrived at Lah Kyo Koh village and saw a teacher named Htee Lah. The 2nd lieutenant of the battalion asked him what his religion was. Htee Lah replied that he was Christian. Upon hearing this, the 2nd lieutenant stated that he wanted to kill the teacher because he was a Christian and began issuing threats against him. The village head of Lah Kyo Koh then intervened and told the lieutenant that the community had asked the teacher to come to teach in their village. The 2nd Lieutenant therefore rescinded his threats but told the village head that this teacher would not be allowed to come back next year to continue teaching. In Kwee Lay Pyah village the local school provides classes up to 6th standard (Grade 6). The school was constructed by local villagers using their own resources. The headmaster and six teachers all come from the village itself and receive 50 baskets of rice per year as salary. The villagers supported three of the teachers while the KNU provided the rice for the other three. According to one villager, the KNU was unable to supply books and pens in 2006 after the DKBA had confiscated what had previously been donated. As a consequence the students' parents had to purchase materials, including a set of standard national school texts at a cost of 700 kyat each. The confiscation of school supplies on the accusation that they come from the KNU is a common practice of both the DKBA and SPDC. "In our village there are some children that couldn't attend school because their parents couldn't send them to school and they have to work to help their parents. We have one widow in our village and she couldn't send her children to school because she is now getting old and she needed someone to work for her." Despite the fact that many of the SPDC and DKBA's abuses against civilians in Thaton are purportedly part of the wider 'counter-insurgency' campaign, the elimination of the KNU/KNLA will not end military abuses. Rather, as villagers have already been experiencing for years, increased SPDC and DKBA control over their lives brings with it regular extortion, arbitrary and excessive taxation, forced labour, restriction on movement, trade and education as well as draconian measures of population registration that undermine their ability to resist abuse. These abuses all serve to support the structures of military control while obstructing villagers' livelihoods, causing food shortages and poor access to health care, and restricting people's ability to control the direction of their lives. SPDC operations allegedly aiming to eliminate resistance forces or initiate rural 'development' projects can be expected to meet with local civilian resistance as villagers work to support themselves and their families while minimising their exposure to military abuse. "Burma Army Attacks Against the Karen People in Northern Karen State, Eastern Burma," Free Burma Rangers, December 12th 2006. Asian Highway, United Nations Economic and Social Commission for Asia and the Pacific. Accessed online on December 6th 2006. Koh Per Thoo literally means 'black headscarves', a term used by local villagers in reference to the KNLA as distinct from the DKBA who are termed Koh Per Baw, 'yellow headscarves'. "To smell like Karen" is a local idiom meaning to be, and have solidarity with, the Karen people. Wrapping a person's head in nylon or plastic sheeting and pouring water over it, thereby temporarily causing suffocation, is a common form of torture applied in Burma. Landmine Monitor: Burma, 2005, accessed online on December 12th 2006. "Inside Burma's secret capital," Asia Times, October 28th 2006, accessed online on December 20th 2006. See The Ongoing Oppression of Thaton District: Forced Labour, Extortion, and Food Insecurity, KHRG 2006 F5 (July 2006). The SPDC's widespread use of convict porters has been recently documented in the KHRG report Less than Human: Convict Porters in the 2005 - 2006 Northern Karen State Offensive, August 2006 (KHRG #06-03). This event was documented in detail in Hunger Wielded as a Weapon in Thaton District, September 20th 2006 (KHRG #2006-B11).